It seems especially appropriate for her; my Mom grew up on an Iowa farm in the 40s and 50s, and she had three sisters. 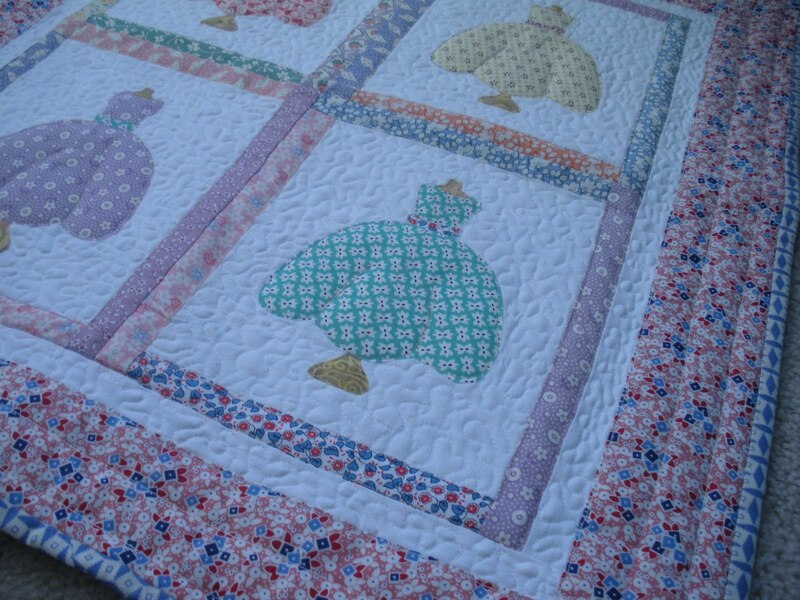 The first time I ever saw this quilt pattern , it made me think of my Mom and Grandma! 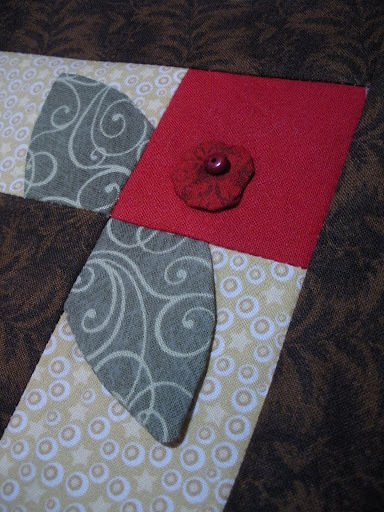 Raw-edge applique, a tiny stipple, and simple straight line quilting finished it off. 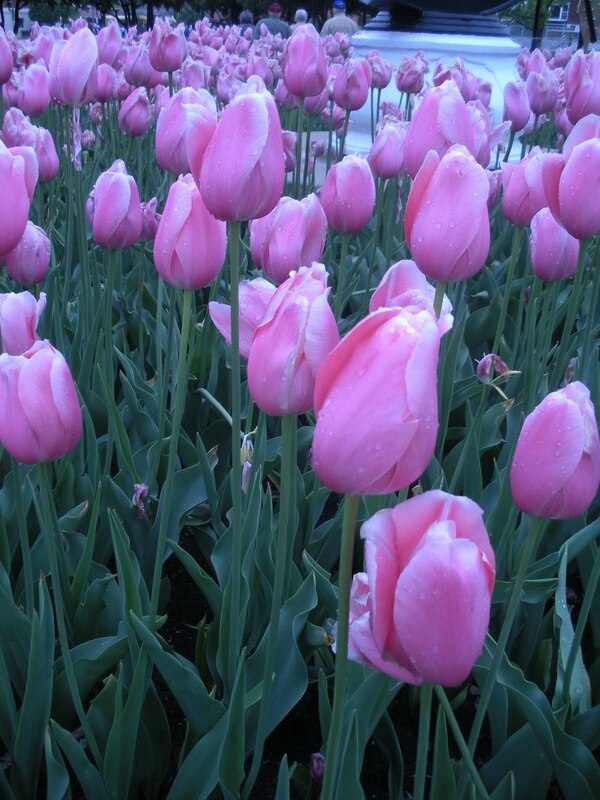 It hasn’t killed off all the May flowers…yet. 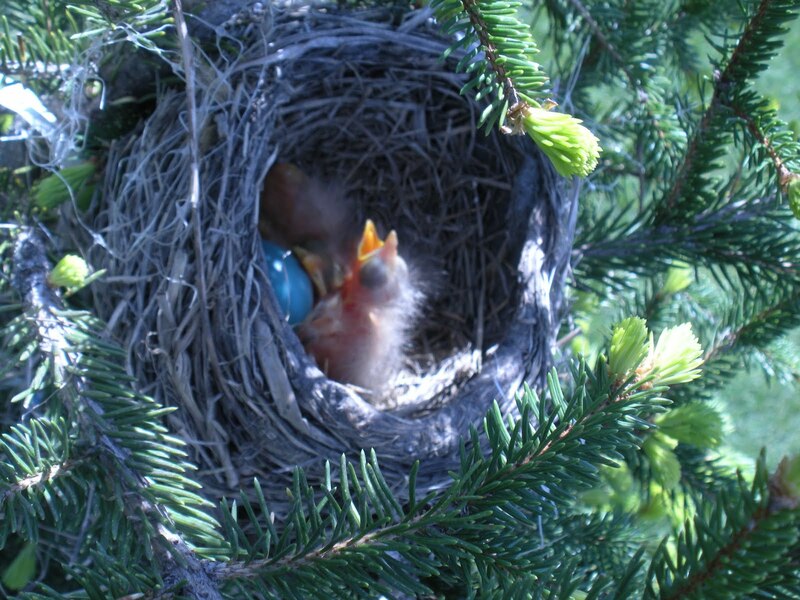 And these little robins seem to be well protected in their Mama’s nest, in the little spruce tree in my sister’s backyard. My two-year-old nephew is learning a lot about Mama birds, baby birds, and how important it is to not disturb the nest, from this Science lesson in his backyard. 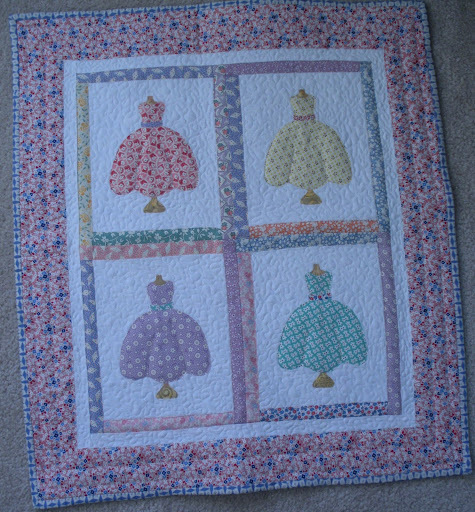 I've seen this dress form quilt block before and have always liked it. Your version is lovely. 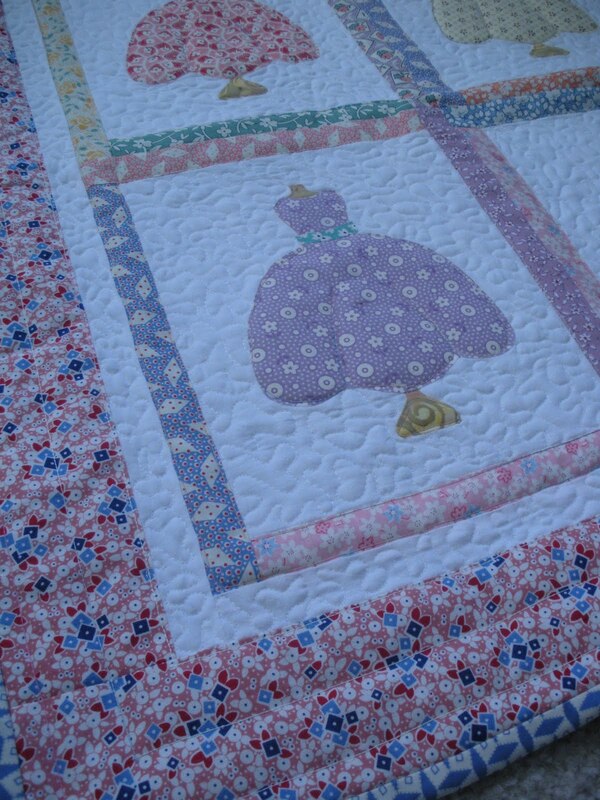 And how nice that one of your quilts has a home in Australia. You do the nicest work, and share yourself so generously with others. You're the best! 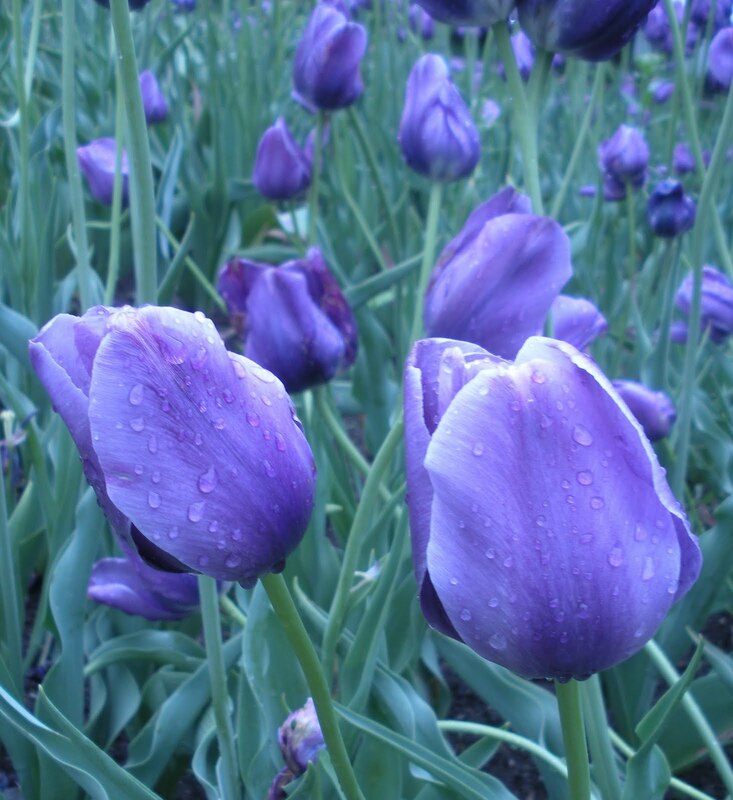 What a lovely post, I love your dresses quilt and boy, the mauve tulips are beautiful. 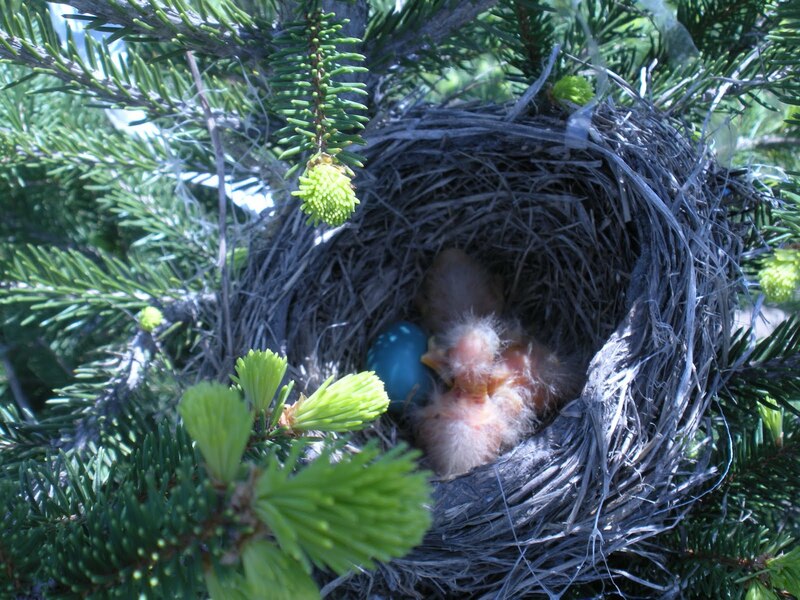 You're lucky to be able to watch the nest, I haven't ever seen that. Amazing use of color. Beautiful textures created. We look forward to seeing more of your work.